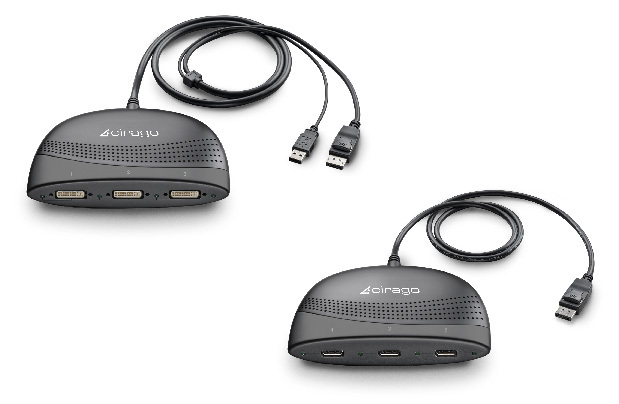 Cirago today launches its new HydraDisplay X3 DisplayPort Multi-Monitor Adapters, which allows you to add up to three monitors on a single graphics card DisplayPort output without need of any drivers installation. 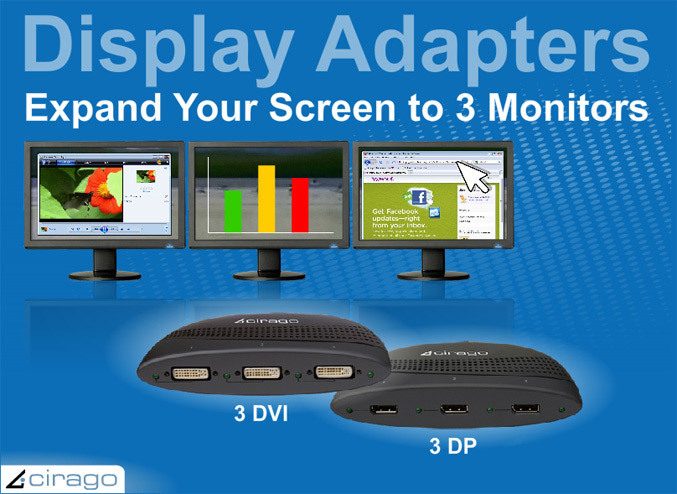 The HydraDisplay Adapters are Windows/PC and Apple/Macintosh compatible, have a HDCP 1.3-compliance, support both desktop cloning (displaying the same content on multiple monitors) and extended desktop mode, which allows you to use each screen independently if you need need extra space to display multiple windows and large spreadsheets. They are available in two options – the HDX3DV01 expands a single DisplayPort into 3 DVI-D ports and the HDXDP01 connect a single DisplayPort output to three DisplayPort monitors. Each HydraDisplay adapter comes with a 45″ DisplayPort connector cable and a mini-DisplayPort adapter, making it easy to expand screen space on a Netbook, MacBook or MacMini. The HDX3DV01 (DisplayPort to 3XDVI) model is praced at $179, while the HDXDP01 (DisplayPort to 3XDisplayPort) is have a $169 MSRP.